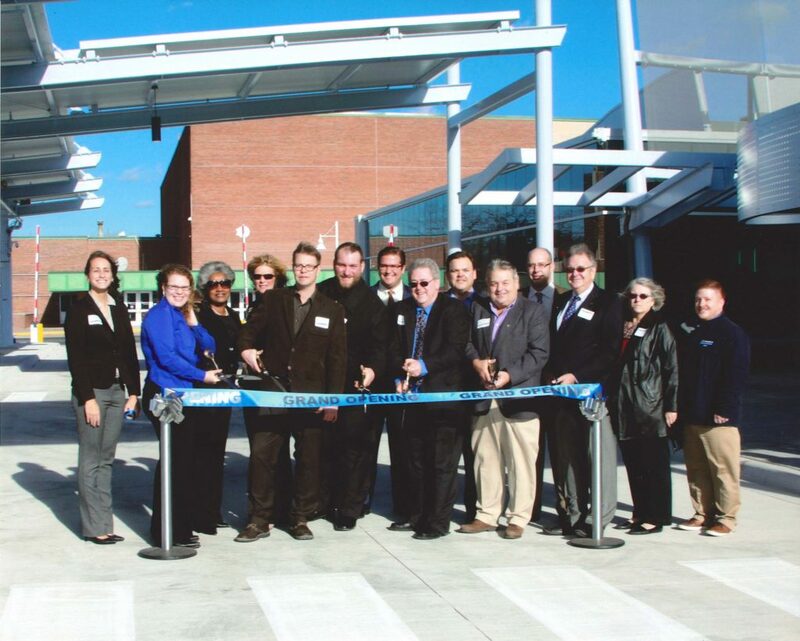 DeMaria was hired by Consumers Energy to complete the New Livonia Service Center in Livonia, Michigan. Work included the design and construction of a new one-story facility, along with the demolition of the current building. 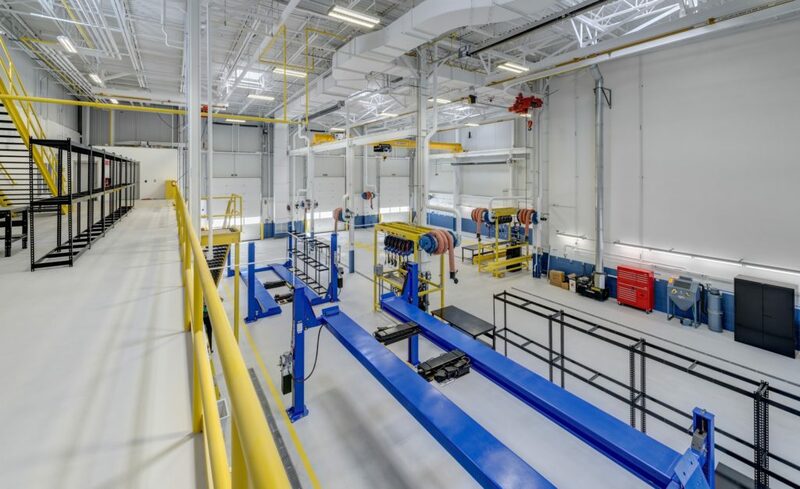 DeMaria built the Livonia Service Center to Leadership in Energy and Environmental Design (LEED) specifications and achieved U.S. Green Building Council (USGBC) LEED Silver Certification in November of 2018. The Livonia building features numerous environmentally friendly characteristics including the building’s architectural design, lighting, plumbing, HVAC and electrical system, materials and resources. 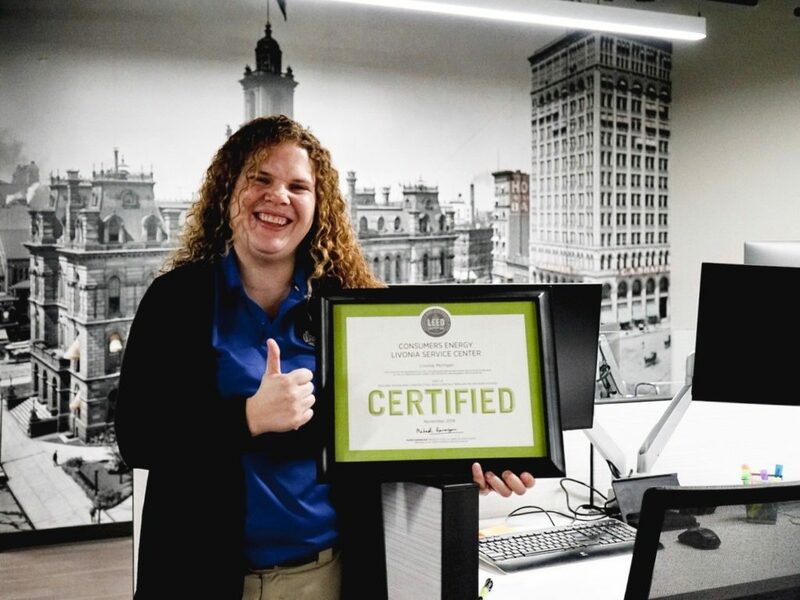 We caught up with Rita Kostielney, LEED Accredited Project Engineer at DeMaria for a quick Q & A about obtaining LEED Certification on the project! DeMaria: What role did you play in the project? Rita Kostielney: My role on this design-build project was Project Engineer, but I also facilitated the LEED coordination and documentation with the Owner, design team, and subcontractors. DeMaria: What challenges did DeMaria face when working to achieve LEED certification? RK: A major challenge was streamlining communication amongst all project participants; the Owner’s team members, design team members, subcontractors, Enhanced Commissioning agent, and the Owner’s third party reviewer. This was the first LEED v4 project for the majority of project participants, so there was quite a learning curve for everyone involved. There was a lot of creative brainstorming and documentation that went into achieving LEED certification. It was crucial that every Owner change and field change were assessed to see how it could affect LEED requirements. DeMaria: Were there any areas in which DeMaria excelled? RK: There were some LEED credits initially requested by the Owner, but these credits were not in the best interest of the project. Trey Neubauer, DeMaria Project Manager, and I were able to creatively find other LEED credits that were achievable and would not jeopardize the Owner’s sustainable goals or final certification. DeMaria: Lessons learned along the way? RK: Budget wisely and creatively for any LEED v4 project! The DeMaria project team diligently diverted 95% of construction waste from landfills through recycling and reuse on-site. Indoor water consumption reduced by 35% and outdoor water consumption reduced by 97%. The DeMaria project team was able to save our client 35% in energy costs for their new facility and incorporated a field of solar panels for on-site renewable energy. Click here to learn more about DeMaria’s involvement in Sustainable Construction. Voted one of Detroit’s 101 Best and Brightest Companies to Work For, 16 years in a row. Our Reach Building Across the U.S.